It’s been quite a while since I’ve done a beauty product for you and I’ve quite missed it. Lately, I have had the realisation that I want to publish content that I am extremely happy with and not just posting for the sake of it. Although beauty reviews aren’t always that fancy I enjoy telling you about products that I find work for me and that you might want to try. 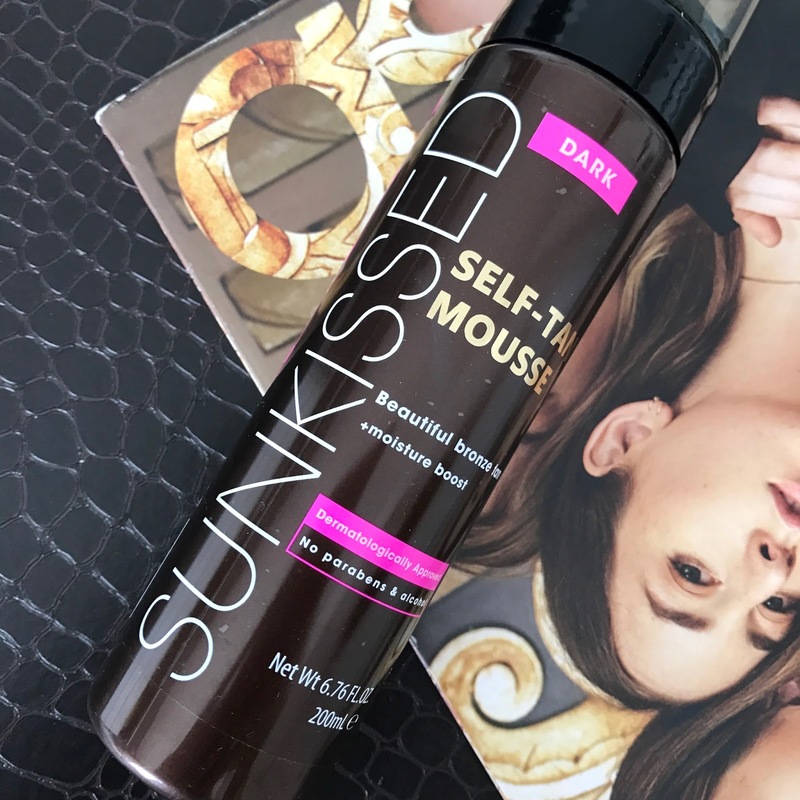 The product is question is the cheapest, but not in a bad way, fake tan I have ever used, the sunkissed dark bronze instant self tanning mousse. I have had this product sitting in my drawer for quite a while but never got round to using it, it has been that long now they have even upgraded their packaging. I have been fake tanning not religiously for a few years but every so often. I love the feeling of waking up the next day and feeling like a new woman with bronzed skin. I don’t know why having a tan makes me feel that little but more confident but it does. If your like me and have had your fair share of tans gone wrong but still go back to it because you love the feeling then why not give this tan a go. I don’t think there is the perfect fake tan out there or I have just not found it yet but as long as it gives me a even dark sunkissed tan with no streaks and is easy to apply then I am happy. 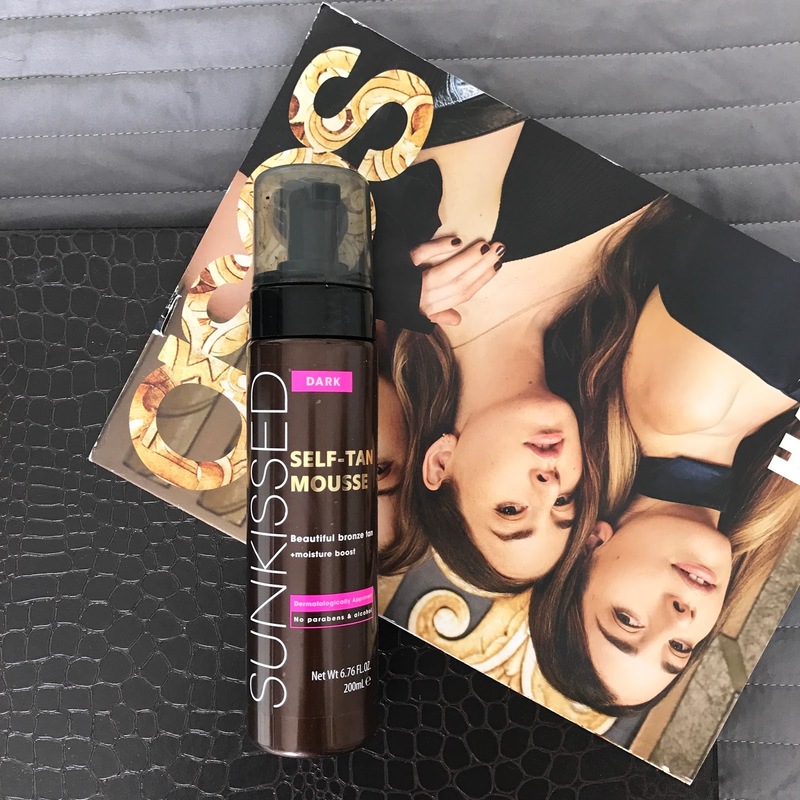 This tan by Sunkissed is super cheap at £3.99 from Superdrug which is already a plus to me. I usually opt for a mousse formula with a colour guide as I find a mousse is easy to blend like this tan was and the guide really helps as you can see what parts you have missed, which saves you having those white patches. I put two layers of the tan which darkened pretty quickly, the next morning I showered it off and developed was a good medium ish tan. I would say that after showering I would like it a bit darker but I usually moisturise with a gradual tan anyway to give that darker feel. The only downside for me with this product is obviously the strong fake tan smell but who can get rid of that and it did not last a week like most tans do on me like Bondai Sands. But this would be amazing for students who want to tan quickly before a night out or event. Overall, for the price I will definitely be picking up this tan again. Thank you for those tips! For some reason I always look super pale 🙁 but well – time to change it! I love a good fake tan too.